I just watched the Ventures get inducted into the Rock and Roll Hall of Fame and all I can say is HELL YEAH! I was just listening to Hawaii Five-O on the drive home today, matter of fact. I had actually forgotten that the induction ceremony was on TV tonight but happened to stumble across it just in time to catch the Ventures. They played two songs live - Walk, Don't Run and Hawaii Five-O. 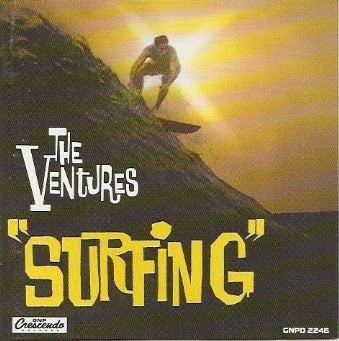 I think I'll break out my Ventures CDs tomorrow - I've had enough of this winter weather, anyway, some good surf tunes will help blast the cold away. And none of that "The Ventures aren't a surf band" crap - they are, and they rock!